Stamp with Melva: Two Posts in one! Despite the best of intentions, sometimes things just get away from me. I've just returned from a week in San Diego for work. I was all prepared with my cards and pictures for my Tuesday and Friday blog post while I was away. Well, almost all prepared - I had the cards made and the pictures taken. Next time, I need to write the blog posts before I go away. As usual my week of meetings and catching up with colleagues from around the world (so much fun!) got in the way. I did post last Tuesday, but you'll notice that Friday's instalment of Can You Case It is missing in action! Today, I'm posting a double whammy! First, Can you CASE it Friday (a little late), features a card from Page 36 of the Stampin' Up! Holiday catalogue. 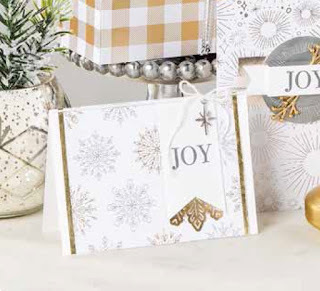 I love the new Year of Cheer Suite of products with all of the lovely metallics and foils. 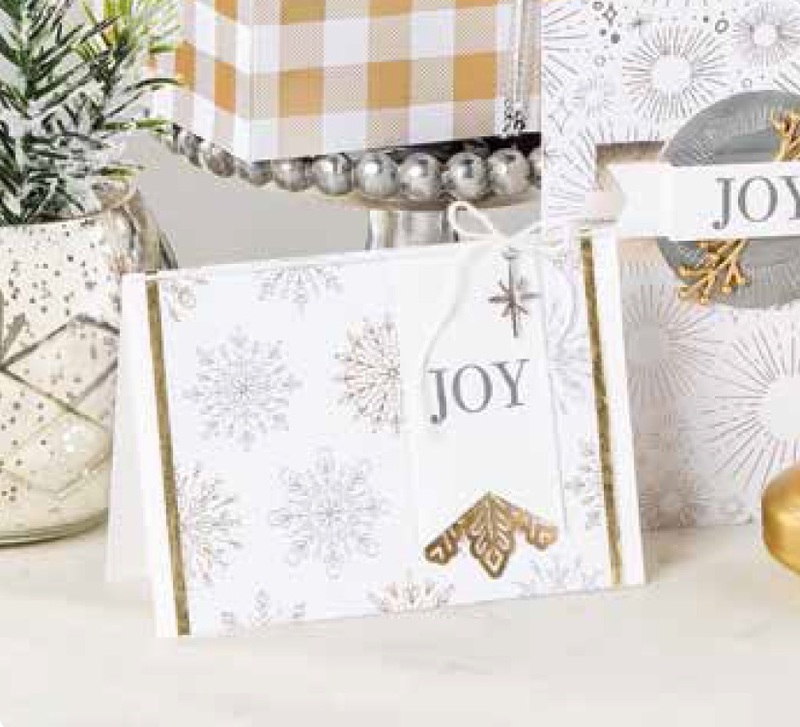 I stayed pretty true to the card from the catalogue although added a few stamped snowflakes on the JOY banner. I love the new Champagne Foil Sheets in this suite of products - it's a perfect blend between silver and gold!